Raised Embroidery, or Stumpwork as it is sometimes known, is one of my favourite techniques. I enjoy the problem solving involved in creating original work in this technique and the opportunity to use a wide range of materials and stitches. It can sometimes be fiddly but is never boring! This piece, which was inspired by Japanese woodblock prints, uses a mix of traditional and contemporary techniques. The background has been coloured with transfer printing and details have been added with hand embroidery. 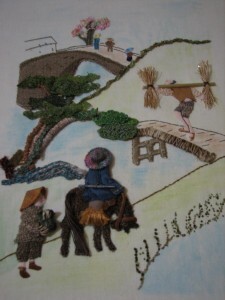 The foreground figures are padded slips, some dressed in needlelace, with the horse being machine embroidered before being applied and padded. 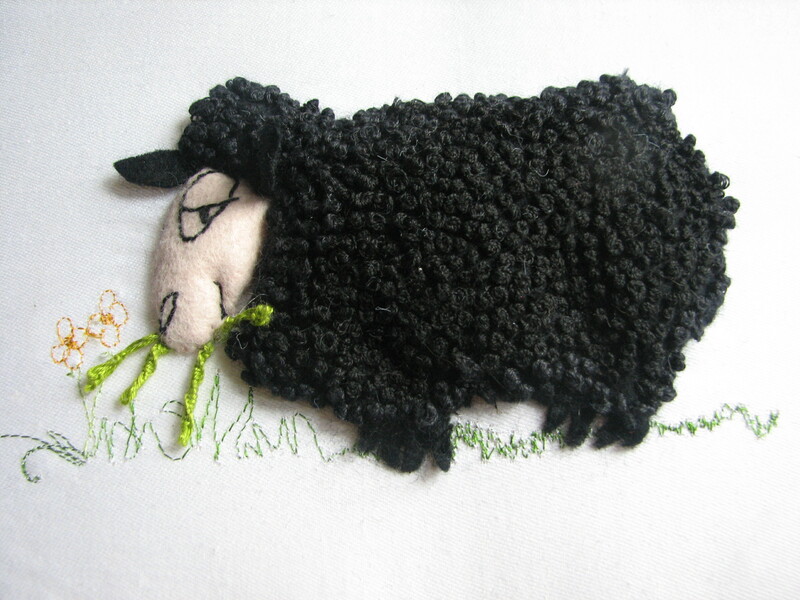 This happy sheep is an ideal introduction to raised embroidery and is available as a kit which includes clear instructions and all the materials needed to create him. He has been very popular at workshops and now has many brothers and sisters all of which are very individual characters – you can see some of them in the student gallery. If you would like to purchase a kit, they are £10 each plus £2.00 postage (UK – overseas at cost) and you can order one directly by contacting me. Raised Embroidery with attitude! 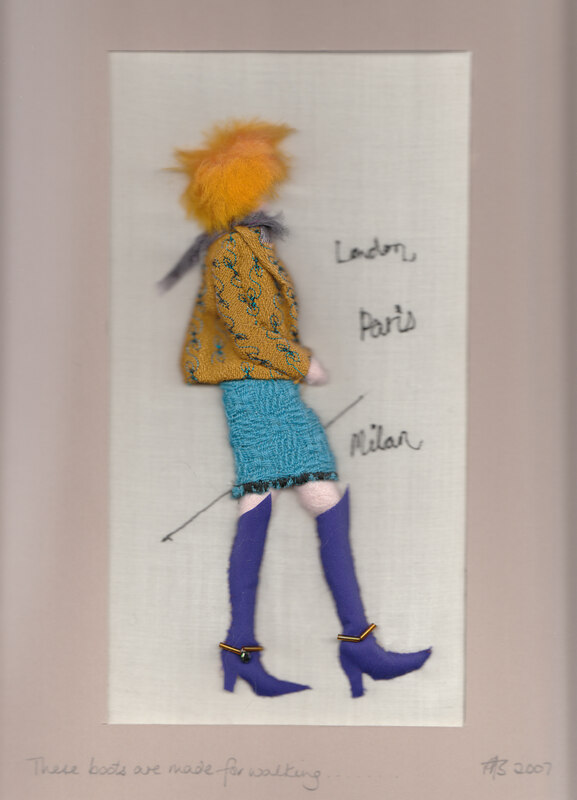 This catwalk model is also popular at workshops and has been interpreted in many different guises – you can see some of them in the student gallery.